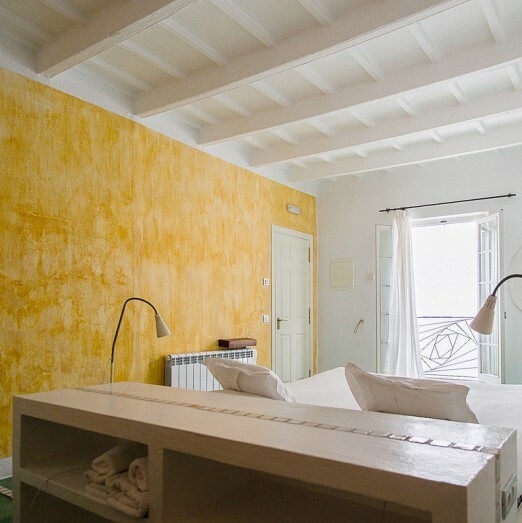 Each room at Hotel 971 is dedicated to one of the places imagined by the writer Italo Calvino in his book Invisible cities, rooms with women’s names, each one with its own character and style. 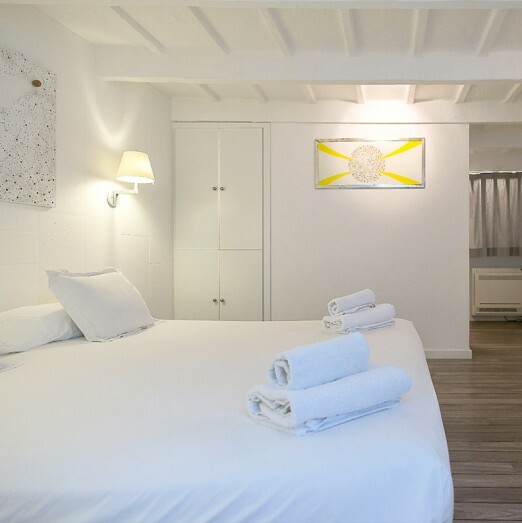 Mansard-roofed room, about 18 m2, with wooden beams in the ceiling and XL double bed. Microcement floor, white lime walls and bathroom with a large shower. Views to Ciutadella's old town from the window. Room about 22 m2, unique in decoration and style. Arranged around a very large central bed. Bathroom with steps and XL shower, Microcement floor and lime walls in sand and brown tones. Very bright room, with many windows. Warm decoration, with lime walls in reddish and orange tones. 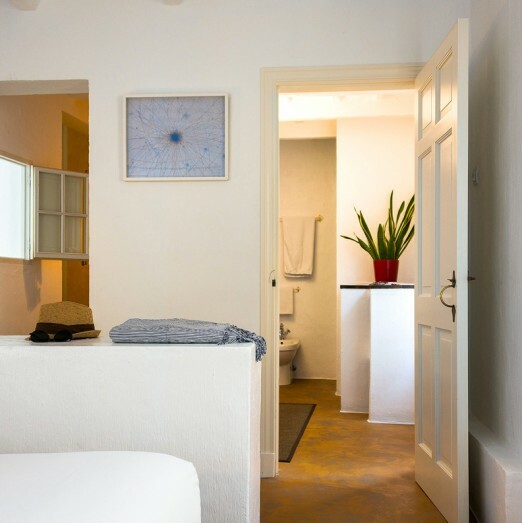 Microcement sand-coloured floors, XL double bed, bathroom decorated in Arabic style and large shower. 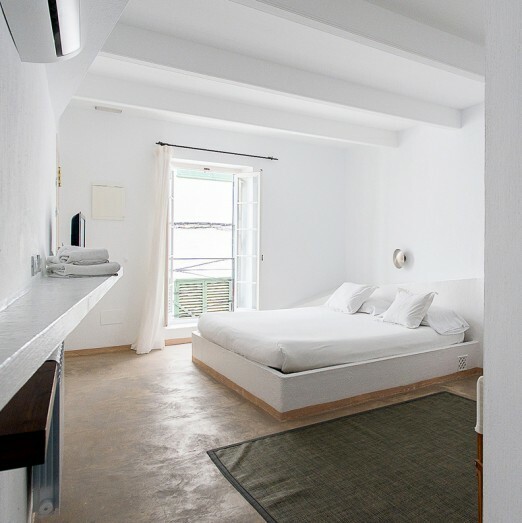 Room decorated in classic Ibiza style, about 22 m2. Furniture is entirely built-in and whitewashed. XL double bed, bathroom with glass screen shower, Microcement floors. Room decorated in modern style, about 18 m2. Ceiling with wooden beams, wooden floors, walls of "marés" (a sedimentary stone typical of the Balearic islands) and bathroom with glass screen shower. 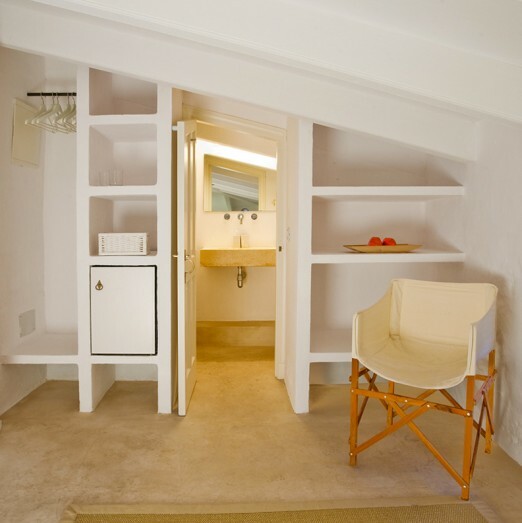 Our Tecla apartment, the comfort of a flat for four people. Equipped with every convenience: private bathroom and shower, minibar, safe, kitchen with hob, oven, fridge and freezer, along with free Wi-Fi and flat screen tv. 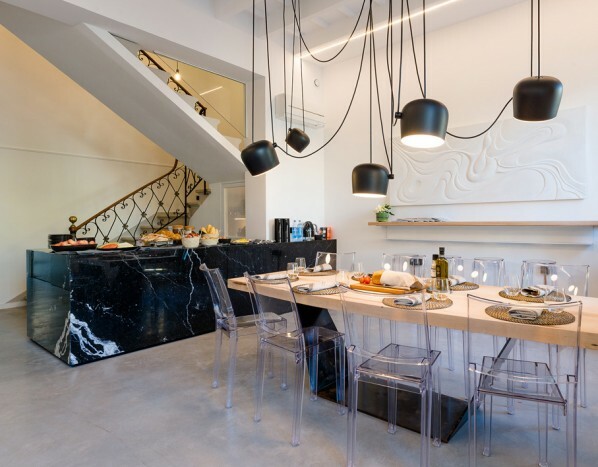 At SODIUM Boutique Hotel, emotions run high. 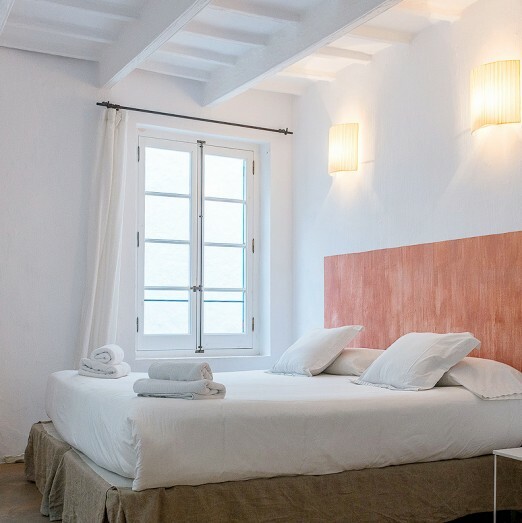 The natural light casts its glow throughout the rooms and their features, exuding a touch of charming city ambiance. The tranquillity of bedrooms that promise a rest and relaxation which you will not forget. 971menorca uses its own and third party cookies to collect information in order to improve our services. If you continue browsing, it means acceptance of the installation of the same. The user has the possibility to configure his browser, if he wishes, to prevent them from being installed on his hard drive, although he must take into account that such action may cause navigation difficulties on the website. How to configure.